A trip to Chianti represents a unique and unforgettable experience for everyone involved. Immagine if this is combined with a cooking class…! Our driver will pick you up directly at the pier and driving through the enchanting Chianti’s hills, you will reach around 10am a lovely 800 year-old, beautifully restored country house, surrounded by it’s own olive trees, vineyard and forest located in the Chianti area. You will live a different and involving experience combining food, art and culture. 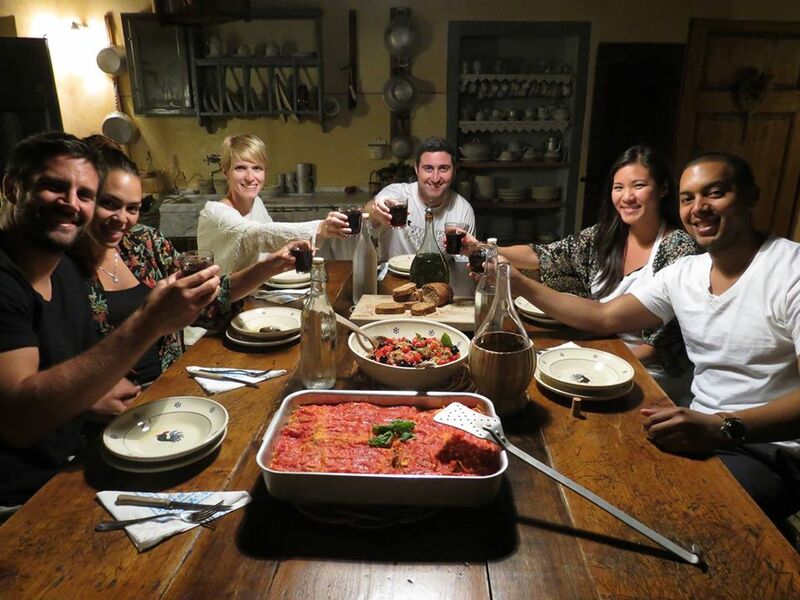 In an equipped kitchen of a characteristic country home, guided by a skilled Chef you will be taught how to prepare a full typical Tuscan menu and to match wines in about three hours time. The course is followed by lunch where prepared dishes will be served accompanied by matching wines. After your delicious lunch we’ll stop at Greve in Chianti, the small village famous for being the capital of Chianti wine, named after the nearby river, expanded considerably during the 14th & 15th centuries, where we find a monument to Giovanni da Verrazzano, the explorer who discovered the New York Harbour. Our driver will lead you in the central square where you can relax strolling between typical small shop or, why not, have a good gelato! At the end you we’ll drive you back to Livorno pier on perfect time to re-board your ship. If you want is possible to buy some good wine and ship it directly to your home.